Designers Norm Architects explain the simplicity of the design, " We focused on finding the point where there was nothing more we could possibly add or subtract, to make it a better product. It was a bit of a test to see just how simple it could be made". 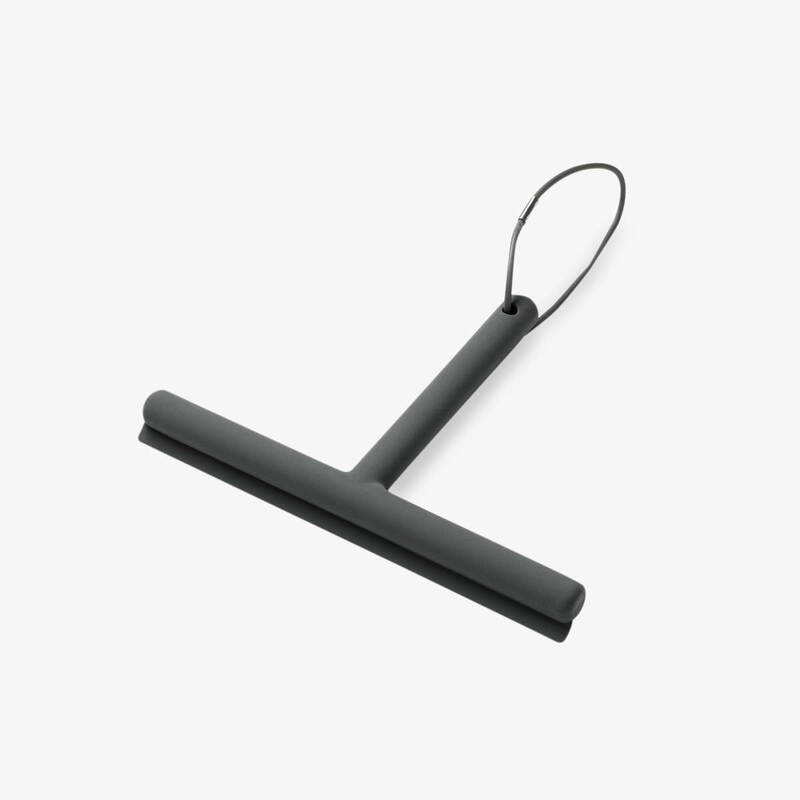 The result is a wiper, easy to grip and use, and easily maintained as it's fully covered in silicone and without any joints. The cord in the top allows you to hang it in the shower or on a little hook, to add a clean graphical expression on your bathroom wall.